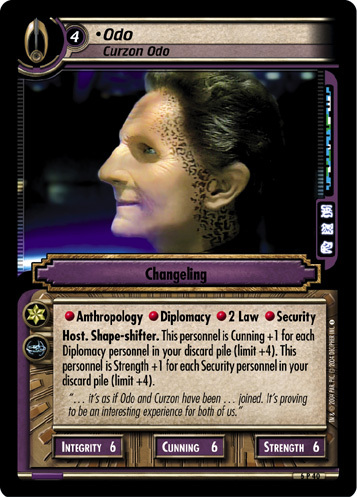 Shape-shifter. 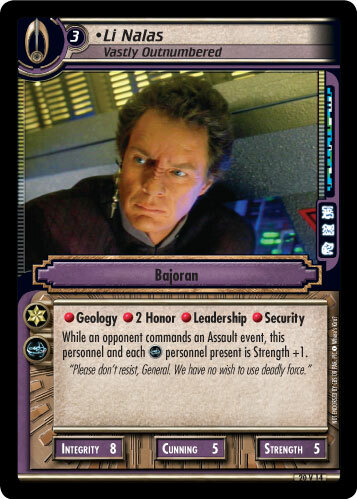 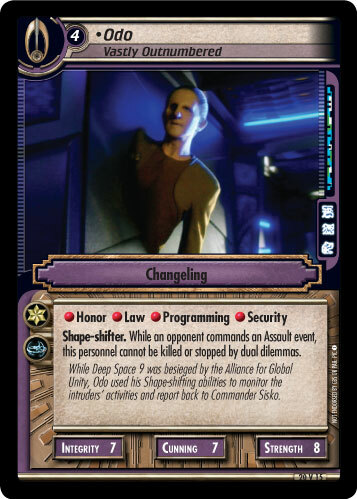 While an opponent commands an Assault event, this personnel cannot be killed or stopped by dual dilemmas. 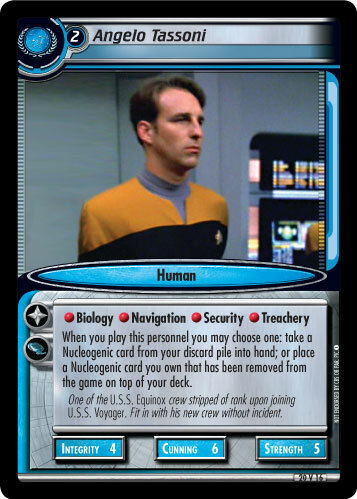 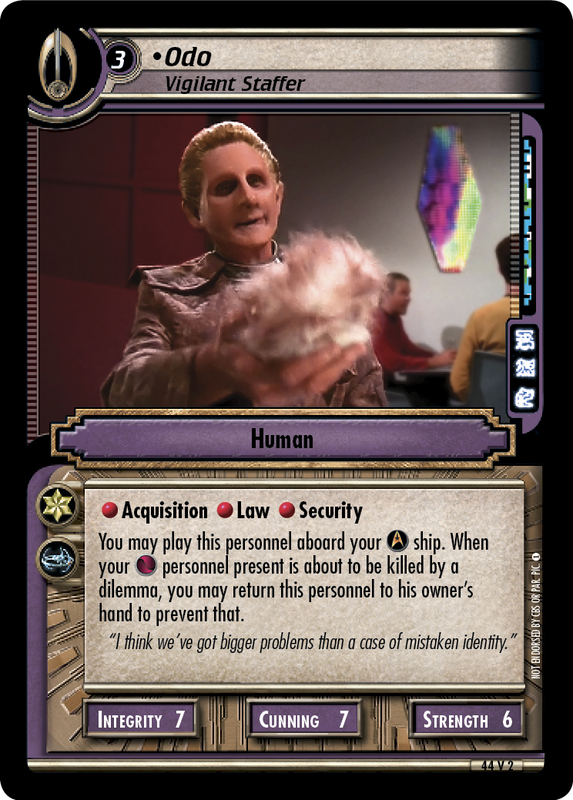 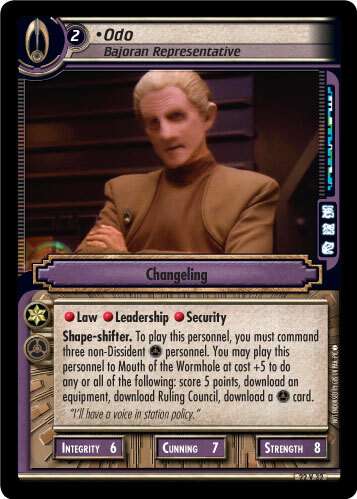 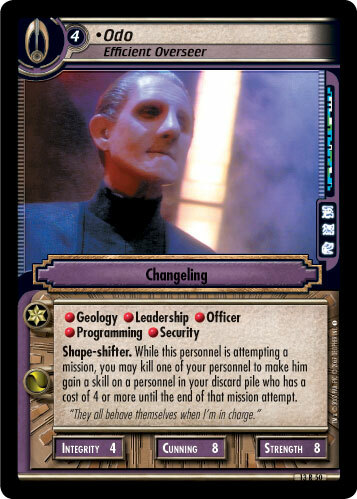 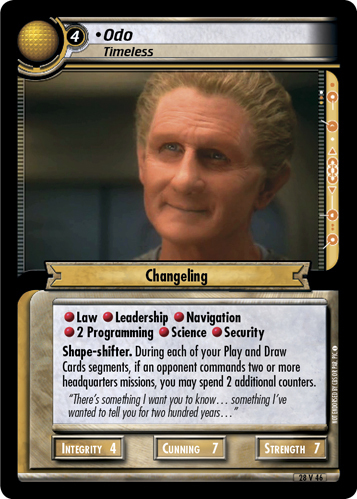 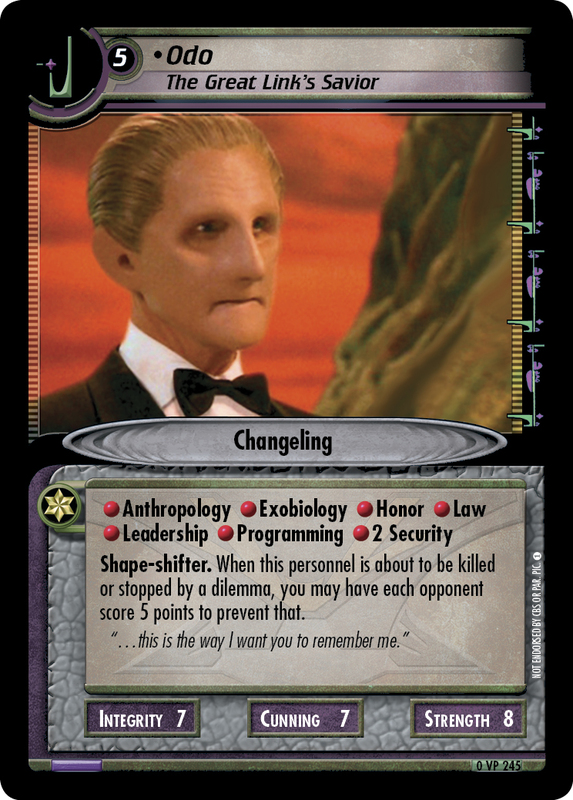 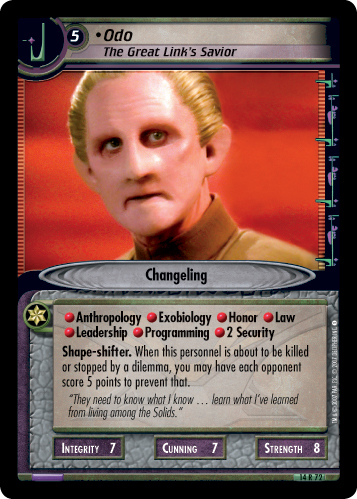 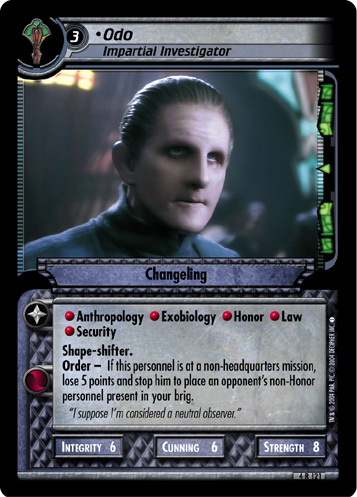 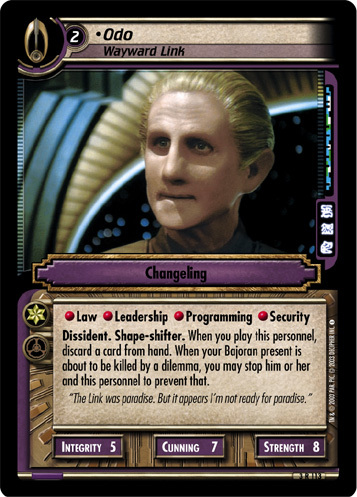 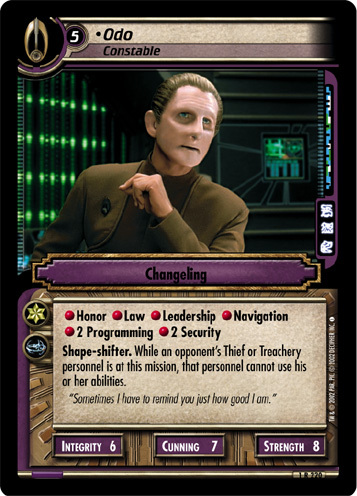 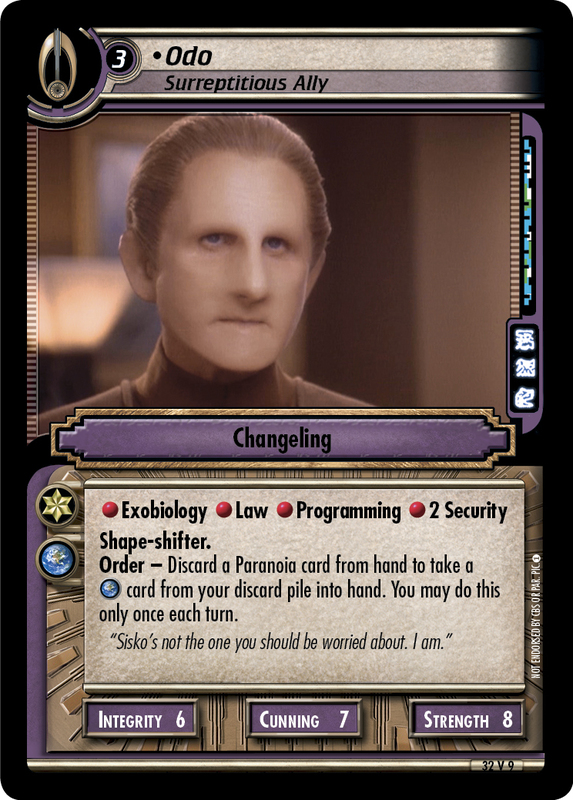 While Deep Space 9 was besieged by the Alliance for Global Unity, Odo used his Shape-shifting abilities to monitor the intruders' activities and report back to Commander Sisko.